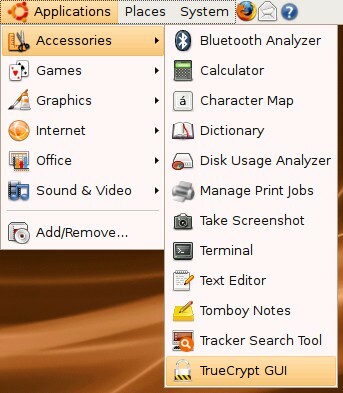 Please note, that the following steps (3.2.1 - 3.2.3) can be done automatically by the tcgui installer (step 4). Proceed if you have problems with the tcgui-installer or want to configure the system manually in the first place - otherwise go ahead with step 4. 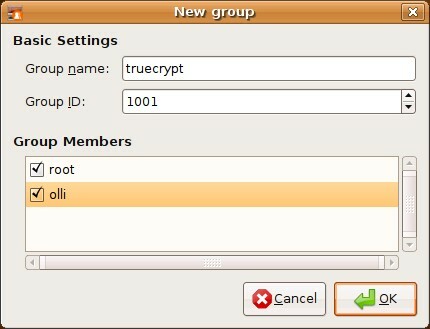 We have to add the group "truecrypt" to the system and afterwards we add the root-account and our user-account to it. 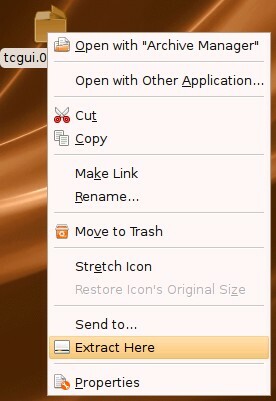 The settings for users and groups are available in the gnome system menu. 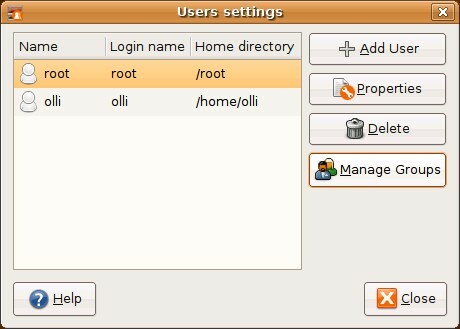 Insert "truecrypt" (without the quotes) as name for the new group, mark the checkbox next to the root and your username and click on "OK". 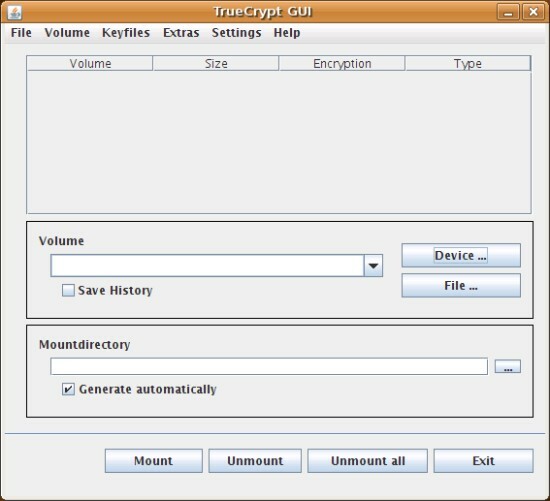 Tcgui provides a GUI that is similar to the windows GUI for truecrypt. It's licensed unter the GPL. 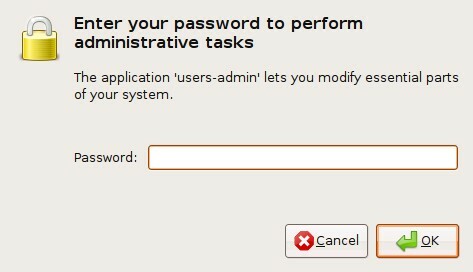 Note: Don't replace $USER with your username - simply copy & paste the line. Choose your language (german or english) and answer the following questions with no (n) - unless you haven't realized step 3.2.1 till 3.2.3. After the installation finished you have to log out and back in to take the changes effect. Click on "Yes" if you agree with the warranty agreement. 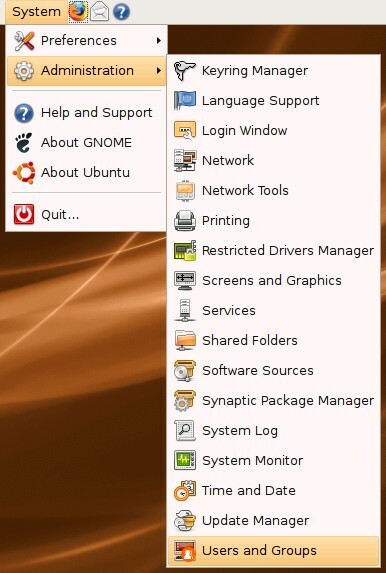 The GUI appears - make yourself familiar with it. Note: The group "truecrypt" will not be deleted and the changes in the sudo configuration will not be restored. I have been back to this page time after time. Every time I use a different computer I need to setup Truecrypt and the admin password always bugs me. This is the best solution I have found, and I can never remember how to do it without this page. I have now bookmarked it. Thanks to the person who wrote it.